Poetry? Who cares about poetry? Poetry is not my gift, but I appreciate the gifts of others. How do we share this appreciation? Poetry is relevant, nonthreatening, multi-topics, full of emotions, sounds and feelings of everyday. Did you know you can find poems on any topic: skateboards, insects, math, snow, holidays, basketball, etc. To see the everyday of our lives in new ways, connect to and with the poetry, to feel a part of its rhythm and voice. How do we connect to poetry? Two invitations may help inspire a way to get inside poetry. Poetry touches our heart and our senses, it helps us see things in a new way, and it sometimes makes us think. If we spend time reading poetry, we’ll begin to sense connections — we will imagine the world the poet sees through our own eyes. And we’ll begin to feel the flow and the rhythm of the words that wander through our imaginations. So here are two reasons to read some poetry to discover ways the words connect to us. 1- Connect to poetry by finding poems for yourself or others. Can you find a poem that speaks to you? Can you find a poem for someone else? In our efforts to be kinder in the world both to ourselves and to others, what better way to do so than with the gift of a poem. Think of your own interests and passions, or your personality and goals. Or think of someone you admire or a friend. What poem shares [my or their] feelings? personality? passions? interests? wonderings? 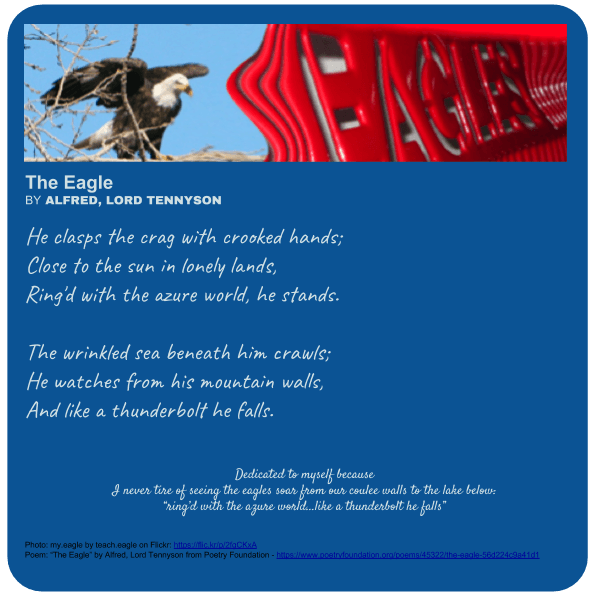 What phrase in the poem grabbed you– connected the poem to you or the person? Create a card or image for yourself or to give to someone else. Add a dedication to yourself or another person with why the poem fits [what grabbed you and connected the poem to yourself or the other person]. Note: These were created in Google Drawings; for How To see these posts: Characters in Google Drawing and Google Drawings Part 2. What kind of poem would you search for — for yourself or for someone else? 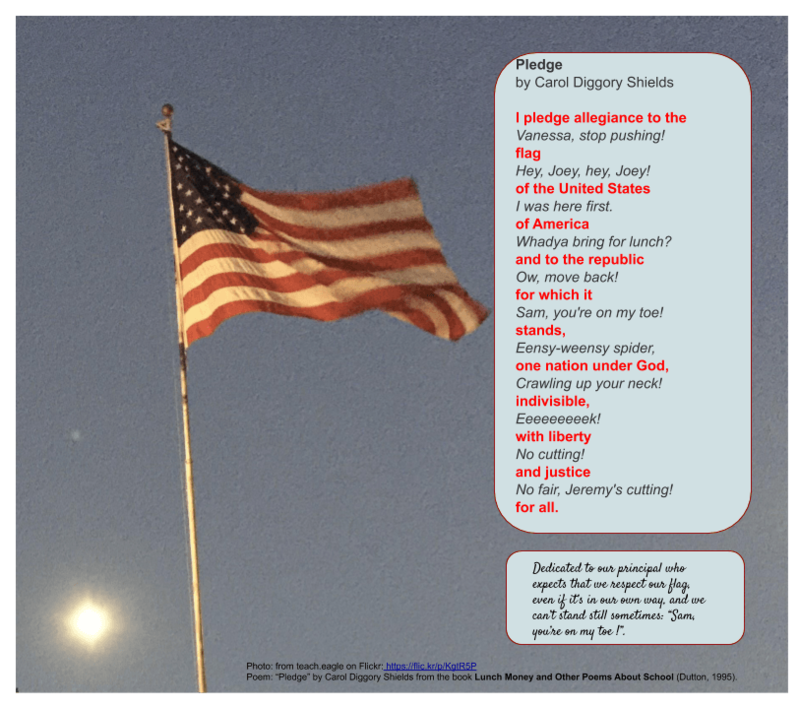 2 – Connect to poetry by finding poems that fit the things in your classroom, school, or community. What spaces would be great places for poetry? 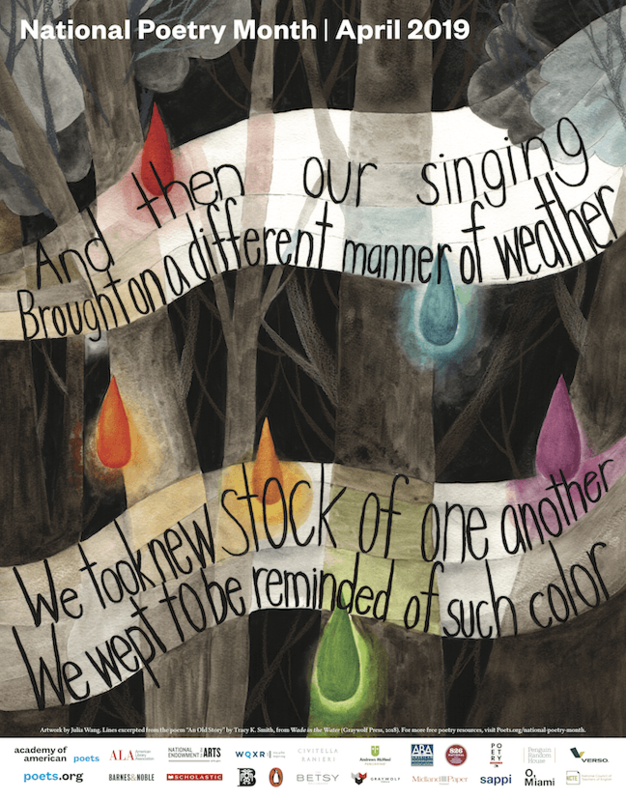 Finding places to share poetry we enjoy is a great way to spread the love of poetry in the classroom or school. Each space in the school or classroom could have a poem next to it that connects to that space. One of my students once wrote a poem for our one black stapler by the door. I’d start in the classroom. One thing kids really worry about is: Homework ! Ha! 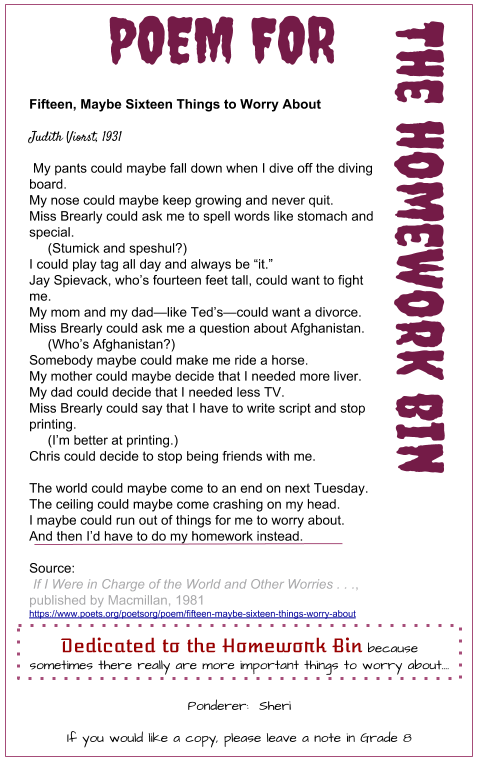 Here’s a poem that shows that sometimes there are more important things to worry about than homework so it was dedicated to The Homework Bin. • Allow readers to see the spot in a new way? • Will cause people to stop and ponder? • Reflect the time or activity occurring at the spot? and a copy request address, in case someone wants a copy. What phrase(s) grabbed you? What did you like? What images did you see in your mind? Why was that poem placed in that spot? What audience would read it there? What purpose does the poem share in this spot? Could it fit in another spot? What does the dedication do? Finding poetry for “places” makes the place more interesting — and it helps us see that poetry is everyday and everywhere! What place will find a poem for? Read poetry? Where do I read poetry? Get ready for National Poetry Month and connect with poetry by finding poems for yourself, for others, or for places around you! 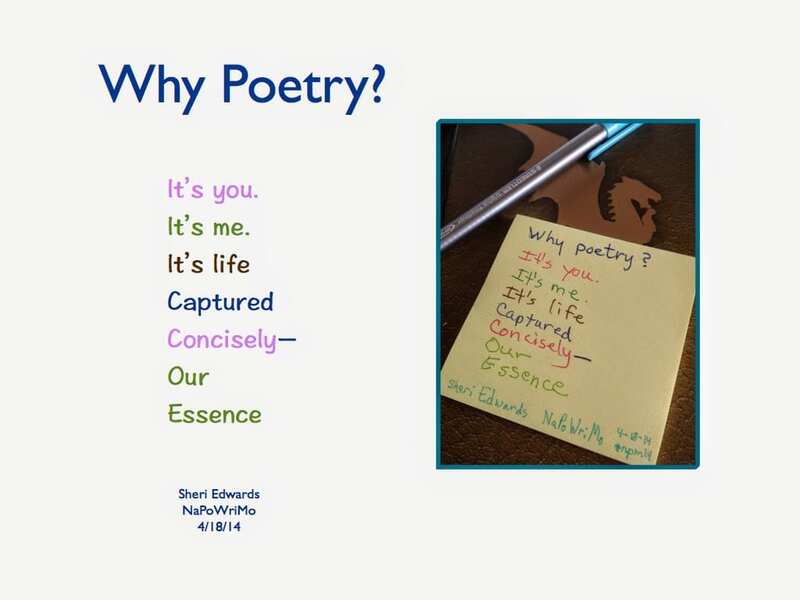 Which poetry connection activity will you do?